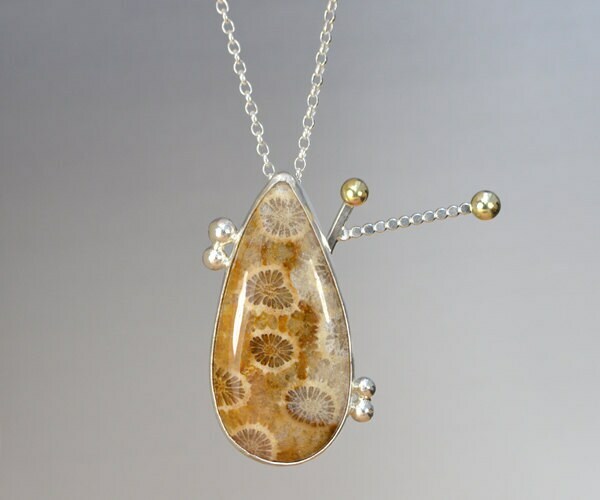 This fossilized coral necklace is handmade at my studio in the UK. It's one-of-a-kind and is ready to ship. Only one necklace is available. Length of the chain: adjustable, it can be worn as 18", 20", 22" or 24", and other lengths, please check with me. 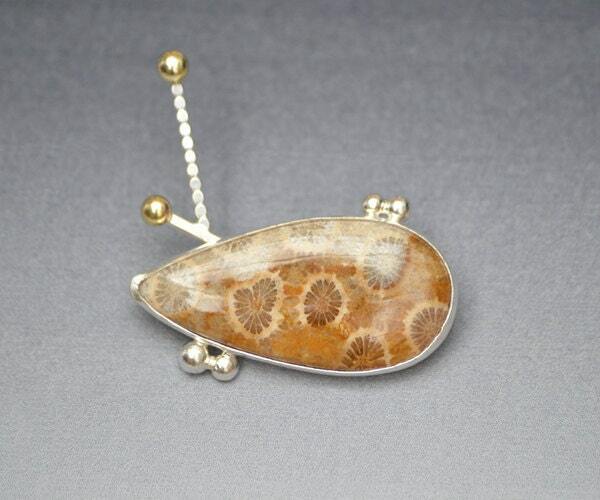 The pendant can be taken off the chain and worn as a brooch.